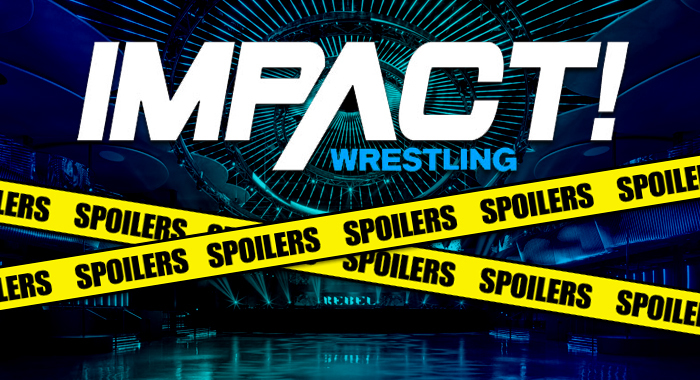 The following report contains MAJOR SPOILERS for future episodes of Impact Wrestling television, taped at St. Clair College in Windsor, Ontario, Canada on Friday, March 22nd. — Eddie Edwards & Eli Drake def. LAX to become #1 contender’s to the Impact World Tag Team Championships, after the Lucha Bros. interfered. — Rohit Raju def. Fallah Bahh. Scarlett Bordeaux came out and helped Fallah Bahh chase off the Desi Hit Squad. — Monster Mafia (Ethan Page & Josh Alexander) def. ??? — Johnny Impact & Taya Valkyrie def. Brian Cage & Jordynne Grace. There was a dirty referee spot, and apparently the ref is in Johnny’s pocket. — The tapings ended with Eli Drake turning on Eddie Edwards. So their tag team partnership was just a way to extend the rivalry into a match at Rebellion, it looks like.